When I met Prof.h.c. Bodo Buschmann, the founder and CEO of Brabus the world's largest independent automotive refinement specialist and renowned manufacturer of high-performance supercars, last November at the 2017 Dubai Motor Show, I could hardly imagine that this would be the last time I would have those casual, funny, witty, yet informative and serious conservations with him. Unfortunately Prof. h.c. Bodo Buschmann, whom I have known since 1994 and whom friends call Bodo, passed away on April 26, 2018, after a short illness. 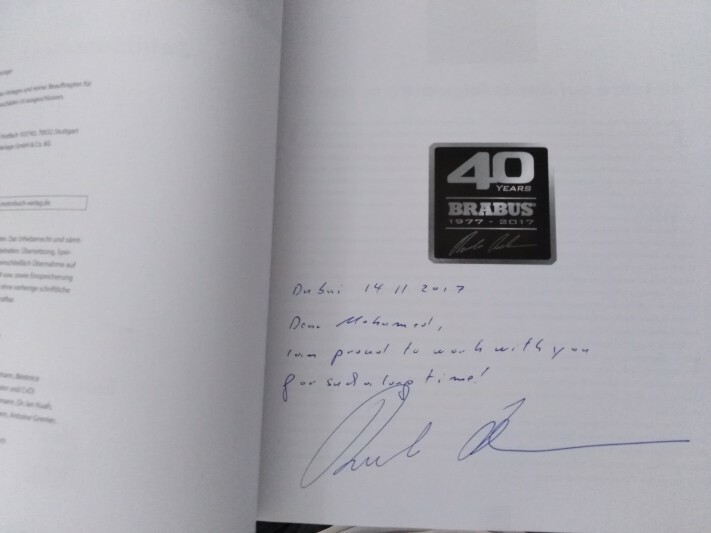 During our last meeting in Dubai he gave me copy of the high quality Anniversary-Edition Brabus book, although he had only taken 25 copies of this heavy book on his long trip from Bottrop to Dubai. The personal dedication he wrote me in this book touched me very much, and this book will definitely receive a special place in my library. 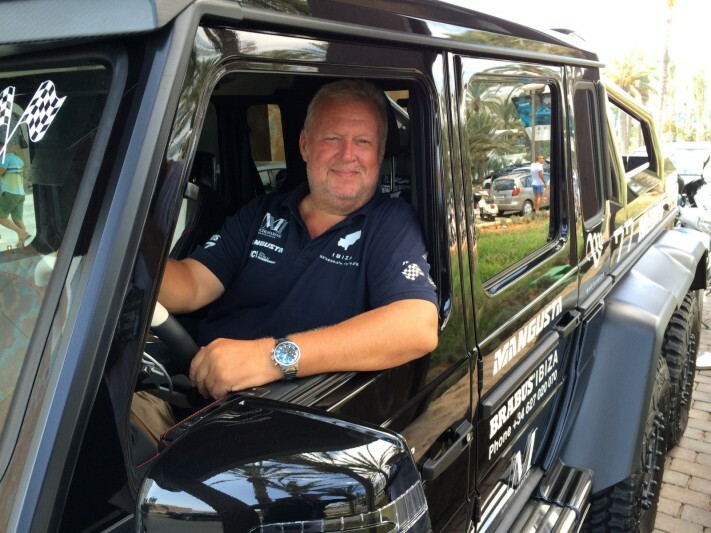 Bodo Buschmann's death came only a short while after my own father passed away last November, shortly after the 2017 Dubai Motor Show where I had met my friend Bodo for the last time. This is why I can feel the pain and agony his family, friends and employees are going through right now. 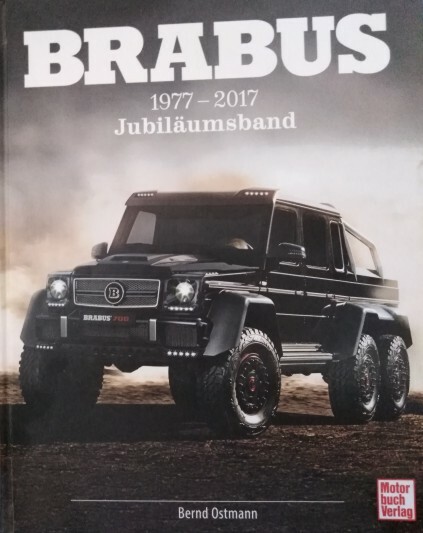 My sincerest condolences to his son Constantin, his family, his friends and all the Brabus team. 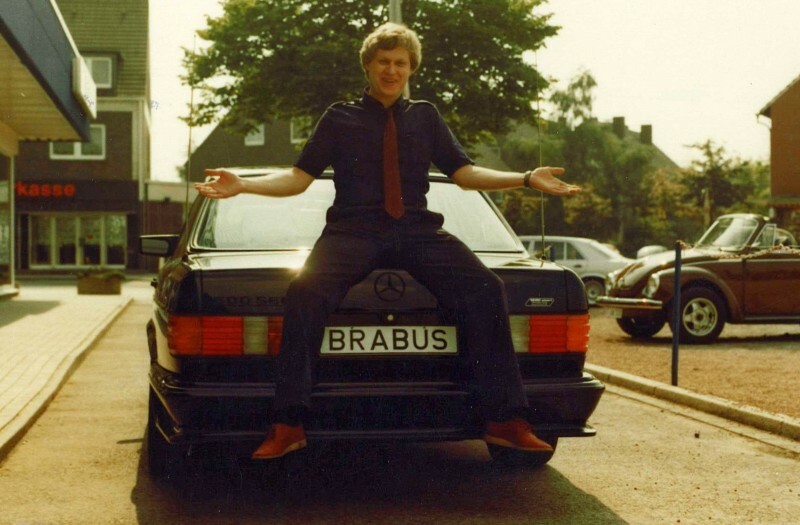 A car enthusiast from an early age with gasoline in his veins, Bodo Buschmann founded BRABUS GmbH in Bottrop in autumn 1977 while he was still studying law and business management. From day one, the company was devoted to the exclusive refinement of Mercedes-Benz automobiles. The first place of business, a small workshop on the street behind his parent's car dealership, quickly became too small, which led to the move to the first own company building - today's BRABUS Plant 1. Sunday. In this way, he made BRABUS a global player in the auto industry. Exclusive supercars such as the BRABUS 900 ROCKET with a top speed in excess of 370 km/h not only made automotive history, but also repeatedly garnered the honor of making it into the Guinness Book of World Records. Despite all the successes and the never-ending pursuit of perfection, the man of action Bodo Buschmann also always remained human: In all these years, he always succeeded in rallying the right employees, the best pros of their field around him. He was a role model to all of them with his ambition, professionalism and hard work. During these more than four decades of company history, Bodo Buschmann usually put in a 40-hour week already by Wednesday. With his ideas and his immensely high quality standards, Bodo Buschmann not only made his own company one of the most renowned brands in the auto industry. 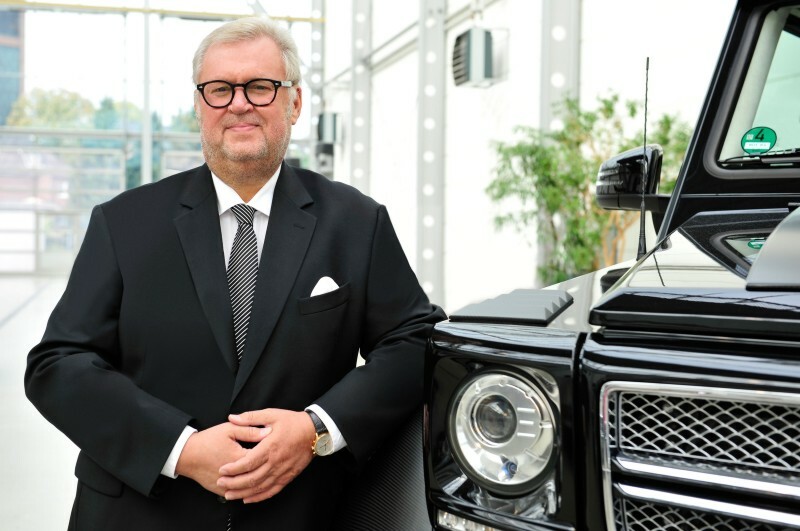 As president of VDAT e.V., an association of automotive tuners he co-founded, the BRABUS CEO had a huge part in making vehicle refinement respectable around the globe. Bodo Buschmann managed to turn his hobby into his occupation when he was just 22 years old. This passion stayed with him until his last breath. He set standards for the entire industry all his life and always stayed true to his motto: "Never work for money - work for passion!" The entire BRABUS family, employees, customers, and friends around the world will miss him forever, mourn the loss of a visionary and man of action, but above all the loss of the man, teammate and friend Bodo Buschmann, who put his mark on the tuning industry like no other. However, the model entrepreneur from Bottrop would not have been Bodo Buschmann, had he not set the right course for the future of his company Long ago. and Sales on the executive board. As CEO of BRABUS Group, he takes over all responsibilities of his father with immediate effect. Other key positions remain in the hands of long-time BRABUS institutions, with Dipl. Ing. Ulrich-Joachim Gauffrés serving as CTO Management Technology and Stefan Hosters as CFO Management Finances and HR. The executive board, the entire BRABUS team and his family will continue Prof. h.c. Bodo Buschmann life's work as he would have wanted. You will be sincerely missed, my dear friend Bodo. Mercedes Benz E180 in Egypt – Top or Flop? Want to sell your used car or buy one? Then check out our new used car market section here! Looking for a good service center or aftersales customer service? Did you have any bad experience with your car dealer or service center? Then check our 'automotive evaluation charts' here! Is Egyptian car market corrupt or collapsing?